The Branson West is coming along and is projected to open late 2014. They are still looking for management help per their newspaper ad. I've already accepted the position of : Chaperon . Duties include supervising the actresses involved in production of commercials.. However, it appears other positions are still available. This eatery is coming right along also. Couple more months maybe. At any rate, it is time to think about security for your cat or cats. This is serious stuff folks. You must act now.. I see no sign of activity at the alleged building site. Anyone??? Where is Panda Express going in? 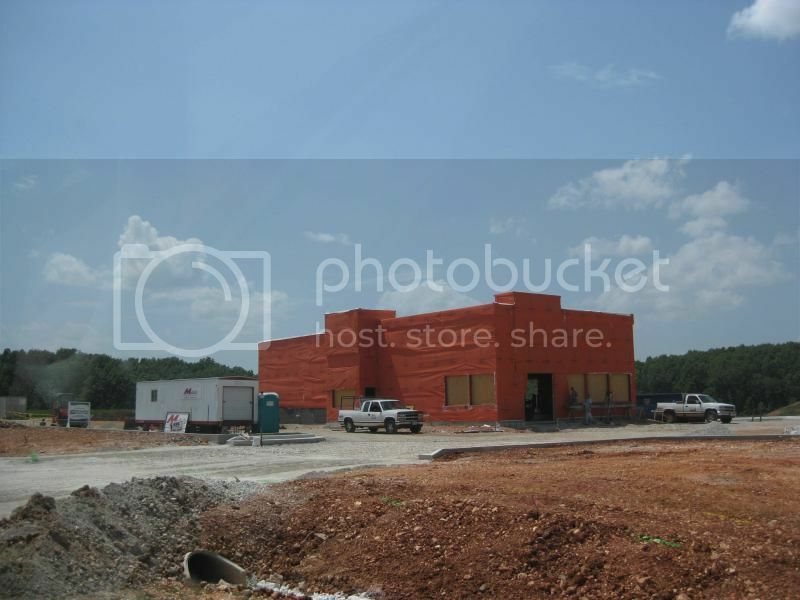 Behind Chili's next to Branson Tourism Center. I do not see anything going on at ground level BUT I did see in the Branson Tri-Lakes paper a week or 2 ago in the Legal Notices that Chick-fil-a has a city meeting on I think 09/23 for easement for their sign. I stumbled across the Crave Food Truck in Hollister the other day. Two gals who moved over by the Lowes shopping center from over by Top of the Rock recently. They have a limited menu, (3 items) that changes every other day or so. The pricing is either $6.99 or $7.99 depending on what they have made that day. My wife had the Ceasar grilled chicken salad that was very tasty and well presented. The truck is located in the Home Decor parking lot across from Country Mart. They are open for lunch Mon-Fri from 11:00AM - 2:00PM and accept major credit cards. Worth the trip to Hollister! I believe that this is the future of the food industry. Once the mindless idiots protest enough that they get their minimum wage increase, these things will be popping up all over the place. I did not consider it fast food since a culinary chef prepares it. But if we want to call it fast food (it does come out a window), then it is the BEST fast food I have had. Last edited by VictoriasMom; 09-19-2014 at 02:42 PM. Demolition has begun on the Chick Fil A site next to McDonalds. I was going to ask where Chili's & BTC are, but I saw them today when I was heading to ULTA! . Also saw the future Panda Express. It looks smaller than the one that just opened a mile away from me in St. Louis County. Ours has a drive thru.